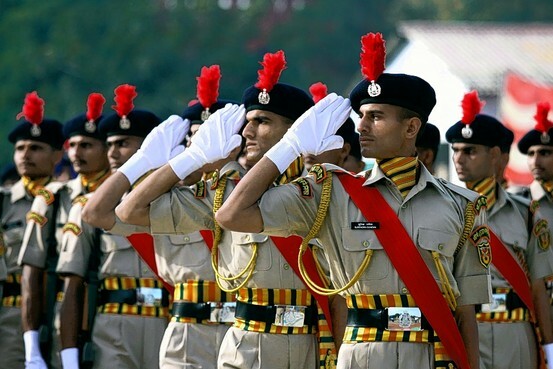 The Indo-Tibetan Border Police (ITBP) in training. Indian Prime Minister Manmohan Singh’s government has announced the formation of a “mountain strike corps” to defend India’s Himalayan border with China. With its 50,000 troops and action-movie name, the new outfit might seem like the muscular response New Delhi needs to counter this summer’s spate of Chinese border incursions. But the announcement represents another example of Indian strategic timidity in the face of Chinese aggression. The Chinese army’s Himalayan campaign is a stealthier counterpart to Beijing’s naval aggression in the South and East China seas. Beijing is pursuing a strategy of “salami slicing”—a steady progression of small actions, none of which serves as a casus belli by itself, that over time leads to a strategic transformation in China’s favor. Nuclear-armed India, despite its size and capability, has been paralyzed in responding to this strategy. Time and again Mr. Singh’s beleaguered government has chosen concession over confrontation, as if India’s only options are appeasement or all-out war. That agreement would replace more equitable 1993, 1996 and 2005 border accords with one that ratifies China’s preferred approach to territorial disputes: What is ours is ours and what is yours is negotiable. Encouraged by this bloodless victory, China has since upped the ante. Its military provocations include multiple raids and other forays across the Himalayan frontier, the world’s longest disputed border. On June 17, a People’s Liberation Army platoon raided Chumar, smashing up Indian surveillance and other equipment and taking away security cameras. The Indian government kept China’s raid under wraps for three weeks for fear that it would provoke public pressure to cancel its defense minister’s early July visit to Beijing. Despite that visit going ahead, four separate PLA incursions into Chumar have been reported this month alone. To cover up its timidity, Mr. Singh’s government flaunts its decision to establish the mountain strike corps—which should have come several years ago and without media hype. As China develops and deploys capabilities quietly, New Delhi advertises any deterrence move, however nascent. India will need several years to assemble the new strike corps. Mr. Singh has already betrayed his trademark meekness by deciding to deploy the corps not in a region vulnerable to a surprise Chinese military blitzkrieg—such as the state of Arunachal Pradesh, claimed by Beijing since 2006—but in provinces such as West Bengal, Jharkhand and Assam that do not border China. Thus New Delhi allows Beijing to dictate the terms of the bilateral relationship. India should fix its Himalayan policy by first (and quietly) redirecting its strike forces toward more vulnerable areas. These include Arunachal Pradesh and Ladakh, two highly strategic Buddhist regions located on opposite ends of the Himalayas. These areas are not unfamiliar territory for India’s military. In fact it was only after Mr. Singh replaced Ladakh’s army troops with border police in 2010 that China gained an opening to step up incursions. Second, New Delhi should reject the recent border cooperation agreement as a basis for future negotiations. At the moment India is doing just the opposite, offering comments and suggestions on China’s imposed draft accord. In Beijing, Indian Defense Minister A.K. Anthony even consented to a joint statement in which New Delhi “agreed to the early conclusion of negotiations” over the Chinese draft. India should instead pursue an agreement based on the principle of mutual respect of status quo on territory and river-water flows. After all, China is seeking to change not only the line of control but also the transboundary flows of rivers by building cascades of dams on them. As the downstream nation, India is particularly vulnerable to a water war. More than 300 billion cubic meters of surface water runs directly from Chinese territory into India each year. India’s current China policy illustrates how meekness attracts bullying. The more timorous India has been, the more belligerent China has become. Until India gets a government willing to defend the country’s rights, China will continue to stage cross-border incursions to create new facts on the ground and build new dams to appropriate the resources of shared rivers. Mr. Chellaney is professor of strategic studies at the independent Centre for Policy Research in New Delhi. (c) The Wall Street Journal, 2013.